I literally do not know where to start. Somehow, between sheer grit and determination, and the stars aligning, I not only went to Spring Quiltmarket, but it more than exceeded my wildest dreams. I met so many Twitter friends, bloggers, fabric designers, pattern designers, quilt designers, shop owners and all kinds of wonderful people. Without exception, they were warm, friendly, open and a lot of fun to be around. 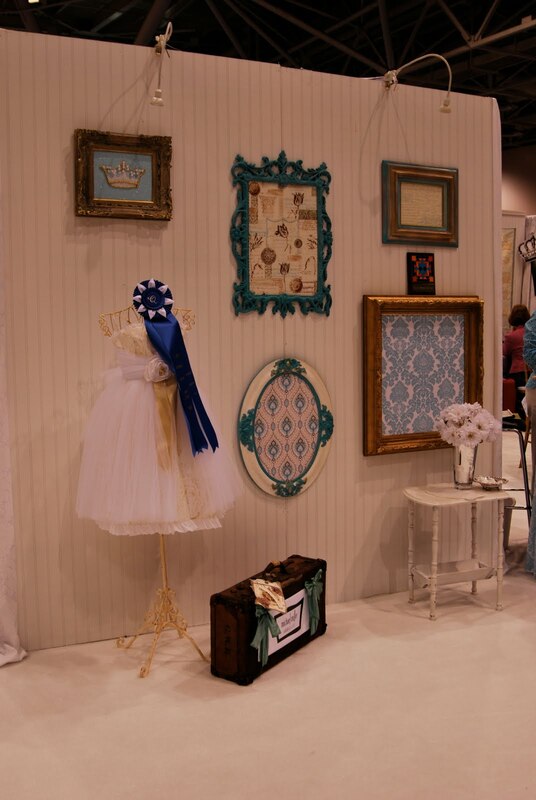 These are pictures of the winning multiple booth by Michael Miller Fabrics. 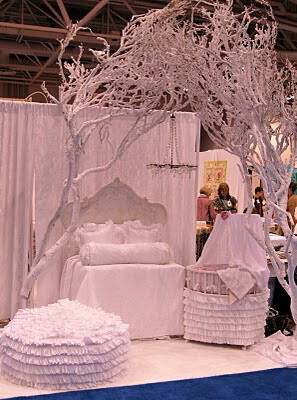 It was like walking into a magical snowy land of glittery gorgeousness. This was the home of the super gracious and lovely Sandi Henderson, whose new book "Sewing Bits and Pieces" I bought and she signed for me. 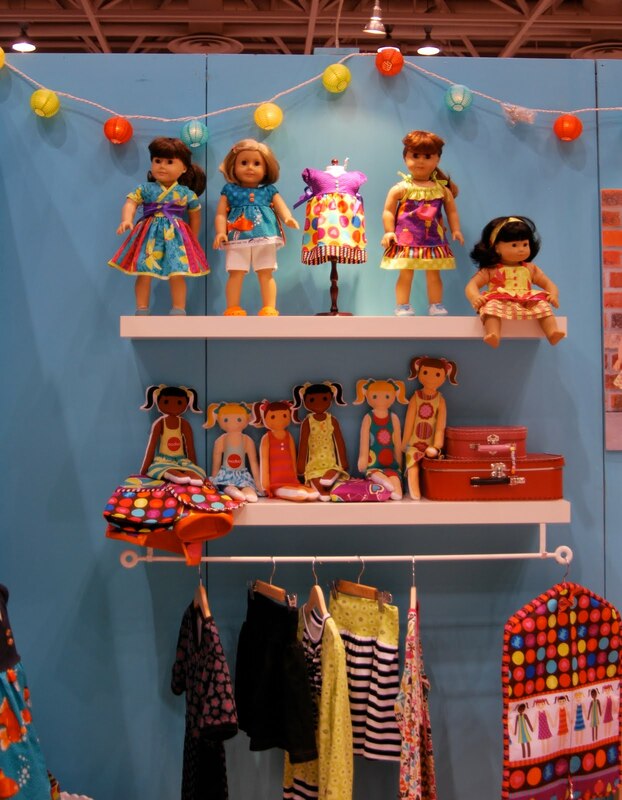 It was also home to Patty Young, and her new line "Playdate". I attended my first Sample Spree, and with people lining up a full four hours ahead of time, it made the Filene's Basement Bridal Sale look like a walk in the park. 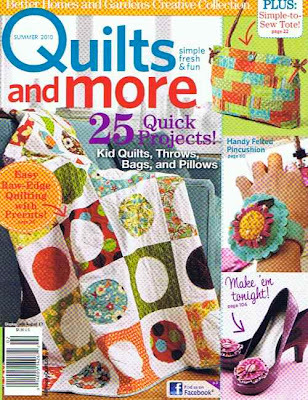 I will say *blowing on fingertips and rubbing them on my shirt* I DID manage to get all THREE colorways of Lizzy House's new line Castle Peeps, AND a fat quarter pack of Oliver & S's new line for Moda. That's right. BOTH of the things I wanted. Some of the hardened Quiltmarket pros were impressed with my skills. All that shopping has to come in handy somewhere right?? I have so much more to share....but I had the time of my life. I made connections. I got great information, and insight. Best of all, I have new friends. 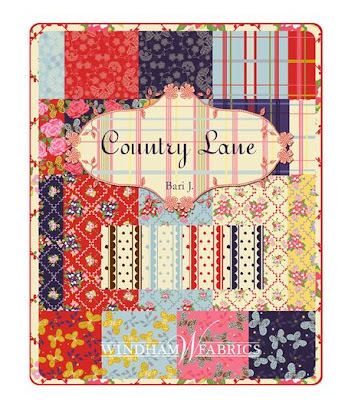 My roomie, the fabulous Bari J. was there to promote her new line "Country Lane", which is simply to die for. She answered my endless questions, she introduced me to EVERYONE, and she even put up with my constant tweeting and bumping into her while we walked. She was recently featured in Better Homes & Gardens Quilts and More with a designer feature AND an adorable project. Check it out! I have loads more to come, and some super awesome pictures to share. So sit tight, and check back...I'll post a few times this week. 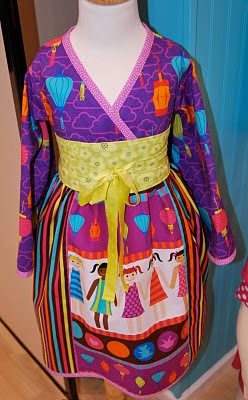 I will go to bed tonight with visions of fabric and thread in my head. Just how I like it. Sounds like you had a fantastic time...the pictures are eye candy! Ah, it sounds AMAZING! I can't wait to read more.. Sounds like you had a wonderful time! Can't wait to hear more about it! Hope to make it there myself at some point.... so you are inspiring me! Yay! I'm glad you got to go (and stay with Bari)!! Such a grand adventure! Hey Rebecca it was great to meet you at the Fabric 2.0 partay and thanks so much for coming by the C&T Publishing/Stash Books booth on Friday! Glad to hear you had a fantabulous time at the show. 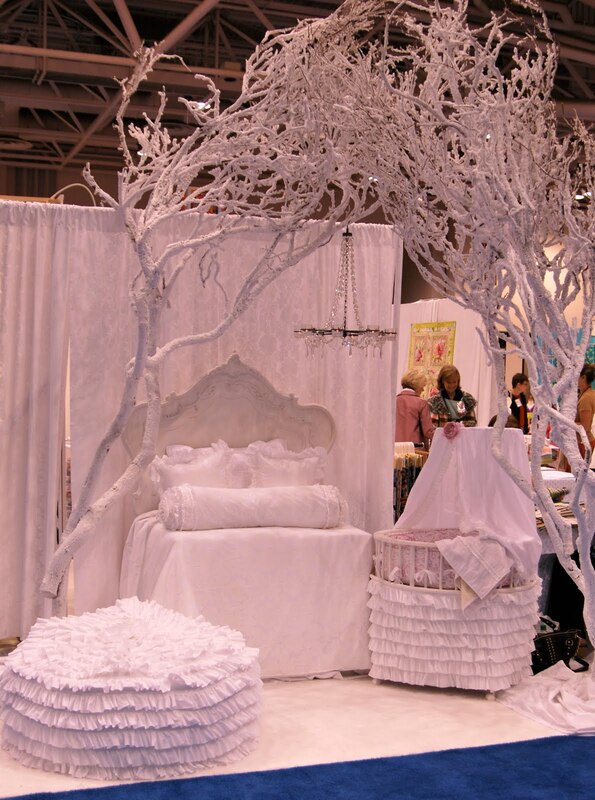 Quilt Market has a way of setting the bar high, and making you wonder "am I worthy?" You are, we are, all worthy. I am glad you had a good time. No matter how many times I go, I come home exhausted and energized all at the same time. Naps are very important in the days following Market! 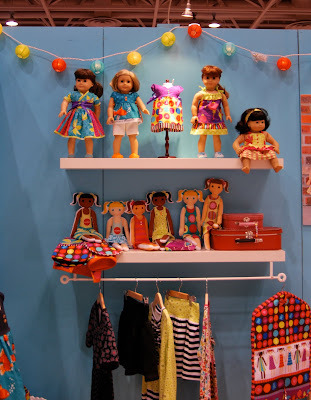 It was a great show for us who vended and for attendees-- there was a lot that was new to see. 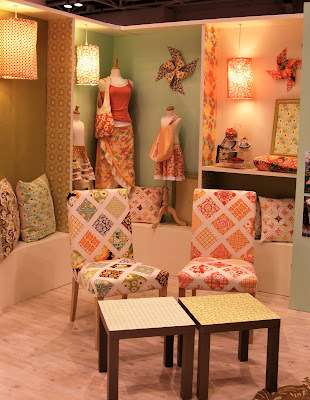 Stop by and say hello at Fresh Cut Quilts if you come again. Quilt Market Part 2 - Including a GIVEAWAY!